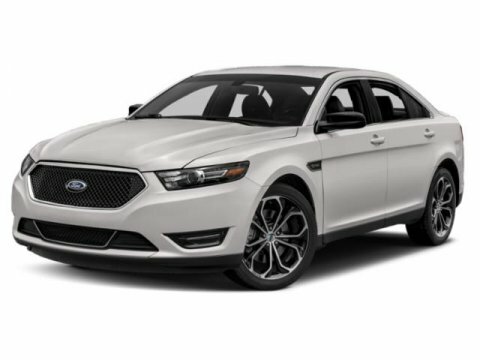 Heated Leather Seats, Nav System, Remote Engine Start, Dual Zone A/C, Back-Up Camera, TRANSMISSION: 6-SPEED SELECTSHIFT AUT... EQUIPMENT GROUP 201A. SEL trim, White Platinum Metallic Tri-Coat exterior and Dune interior READ MORE! ======KEY FEATURES INCLUDE: Back-Up Camera, Aluminum Wheels, Remote Engine Start, Dual Zone A/C Child Safety Locks, Steering Wheel Controls, Heated Mirrors, Electronic Stability Control, Electrochromic rearview mirror. ======OPTION PACKAGES: 6-way power driver and passenger seat (fore/aft, up/down, tilt) w/manual recline and lumbar, 3.16 Final Drive Ratio, Radio: AM/FM Stereo w/Single-CD/MP3 Capable, Additional IP Center Channel Speakers, SYNC 3 Communications & Entertainment System, enhanced voice recognition, VHR, SYNC Services, Bluetooth, steering wheel control, auxiliary input jack, 8 LCD capacitive touchscreen in center stack w/swipe capability, AppLink, 911 Assist, Apple CarPlay, Android Auto and 2 smart-charging USB ports, SYNC AppLink lets you control some of your favorite compatible mobile apps w/your voice, It is compatible w/select smartphone platforms, Commands may vary by phone and AppLink software, SiriusXM Radio, a 6-month prepaid subscription, Service is not available in Alaska and Hawaii, Subscriptions to all SiriusXM services are sold by SiriusXM after trial period, If you decide to continue service, pinch-to-zoom capability and SiriusXM Traffic and Travel Link, SiriusXM Traffic and Travel Link includes a (5)-year prepaid subscription, SiriusXM Traffic and Travel Link service is not available in Alaska or Hawaii, SiriusXM audio and data services each require a subscription sold separately, or as a package, by Sirius XM Radio Inc, If you decide to continue service after your trial, the subscription plan you choose will automatically renew thereafter and you will be charged according to your chosen payment method at then-current rates Approx. Original Base Sticker Price: $34,800*. Pricing analysis performed on 3/8/2019. Horsepower calculations based on trim engine configuration. Please confirm the accuracy of the included equipment by calling us prior to purchase.